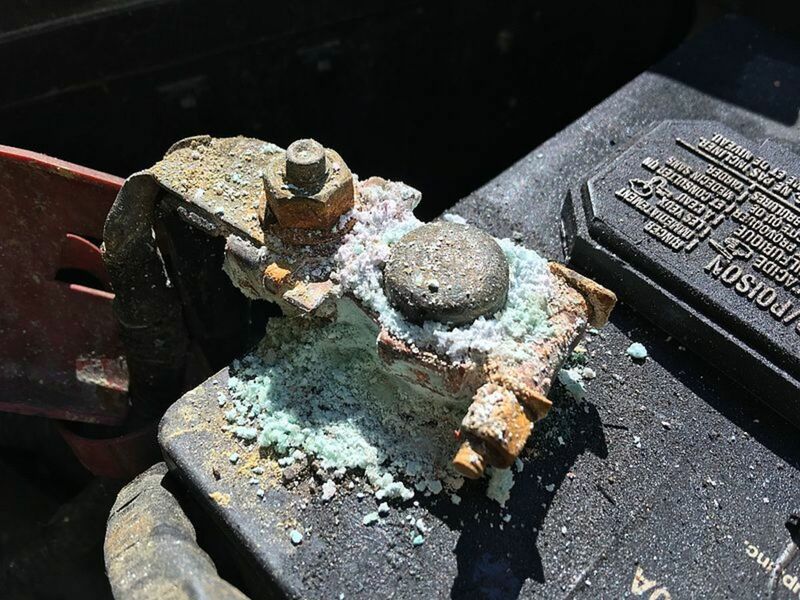 Battery terminal corrosion is caused by hydrogen fumes escaping from inside the battery. The fumes cause a corrosive environment and the buildup of salts, including lead sulfate and bluish copper sulfate. A small amount of gas leaking between a battery post and the case cover is not uncommon. Cleaning a small amount of corrosion from battery terminals from time to time is part of a battery maintenance task. Fortunately, cleaning battery terminals is a relatively simple task you can do in your own garage using some common tools and supplies. Get your tools and supplies ready and let's get started. Always wear goggles and protective gloves when cleaning your battery to prevent serious injuries. You can clean your battery terminals using common household items. First prepare a solution of 8 ounces of warm water and a tablespoon of baking soda. Put on a pair of dish gloves or similar protective gloves. Also, put on your goggles. The gloves and goggles will protect your hands and eyes from the sulfuric acid present in the powdery substance you need to remove from the battery terminals. Before you disconnect the cables or remove the battery from the engine, weaken the harmful effects of any accumulated acid or corrosion around the terminals and battery top using the solution of baking soda. Apply the solution to the battery terminals with a soft brush, or a stiff brush if necessary, and scrub the solution over the terminals. As corrosion dissolves, wipe the terminals with a clean rag and a bit of water. 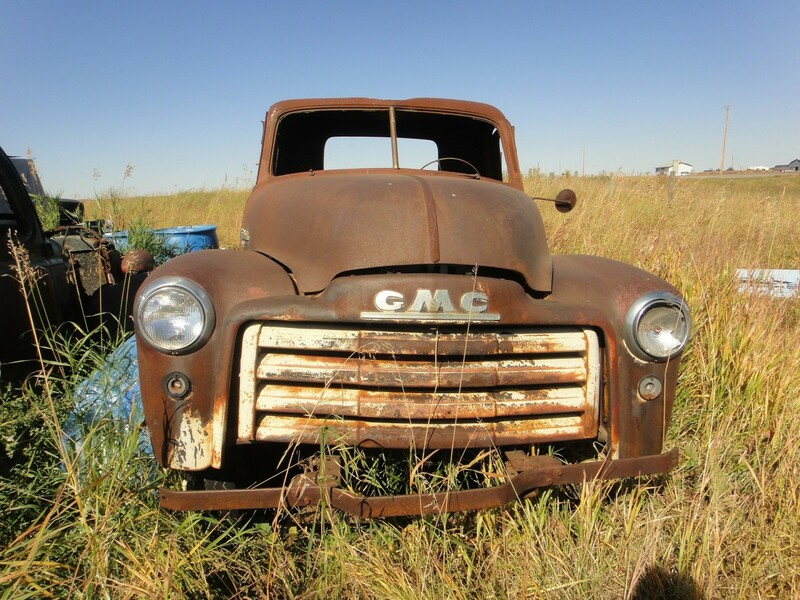 This will prevent getting corrosion on the vehicle's paint, metal and rubber parts. Then, wash off whatever is left of the dissolved corrosion with plain water, and wipe the terminals with a clean rag. Continue applying the cleaning solution to the top of the battery. Be careful not to allow corrosion or cleaning solution to seep under the battery caps, if your battery has removable cell caps. Wipe the battery top with a damp, clean rag. Before disconnecting the battery, connect a memory saver and make sure you have the security codes, if any. 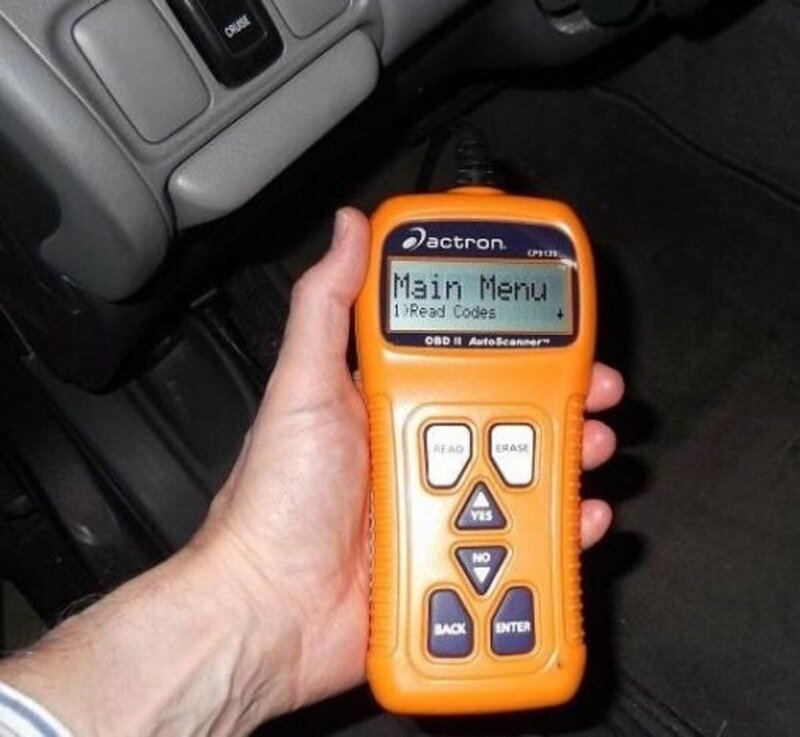 This will help you keep the settings for the radio, clock, and engine's computer memory and other accessories; otherwise, you may need to reset devices, and the engine may experience driveability problems until the computer relearns the ideal system settings for proper operation. Disconnect the terminals from the battery, starting with the negative (black) cable and then the positive (red) cable. If the terminals are secured to the posts with nuts and bolts, use a six-point or line wrench, especially if your battery has side terminals. Use the wrench to turn the nut while holding the bolt in place with another wrench or a pair of pliers. This will prevent rounding-off the nut or disjointing the post from the casing, which could cause a serious leak. If the bolt or nut holding the terminal is severely corroded or rounded off, use a pair of vise grip pliers to hold the fastener in place while unscrewing the bolt or nut. After loosening the terminals' bolts, lift the terminals off the posts. If they still have a strong grip on the post, don't pry them off. Use a battery cable puller to prevent damage to the post, case, and cell. With the terminals disconnected from the battery posts, dip the terminals in the baking soda solution and remove any remaining corrosion from inside the terminals surface and around the terminals. Use a battery post cleaning tool to clean and polish the inside surface of the terminals and battery posts for a good contact. Closely inspect the battery cables and terminals. Look for loose or damaged terminals, worn out insulation, broken or corroded wires. Replace the cables or terminals as necessary. You can remove the battery off the vehicle for cleaning, if the case has some dirt or grease. Use solvent or laundry soap to clean the case. Install the positive battery cable first, then the ground cable. Expand the terminals just enough to slide the terminal onto the battery post without forcing it. This will prevent damage to the post, the seal between the battery cover and post, and the connection of the post to the inner battery cell. Make sure not to overtighten the terminal bolts. Apply a thin layer of petroleum jelly or white grease to the terminals and the side of the posts to help the terminals ward off corrosion. If you prefer, you can also get battery corrosion terminal protectors from a local auto parts store. If corrosion has already caused damage to the terminals, replace them with a new pair. Consider using battery compression terminals to provide better contact between the cable and terminal. If corrosion buildup has grown into the battery cable copper wires, replace them. Once you reconnect the terminals to the battery posts, you can check that you have a good battery-post-to-terminal connection. 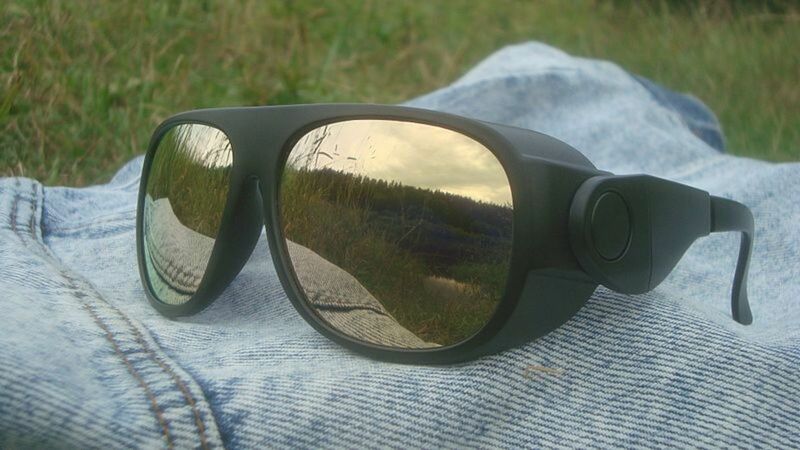 This will prevent unwanted resistance and problems starting or charging. Set your transmission to Neutral (manual) or Park (automatic). 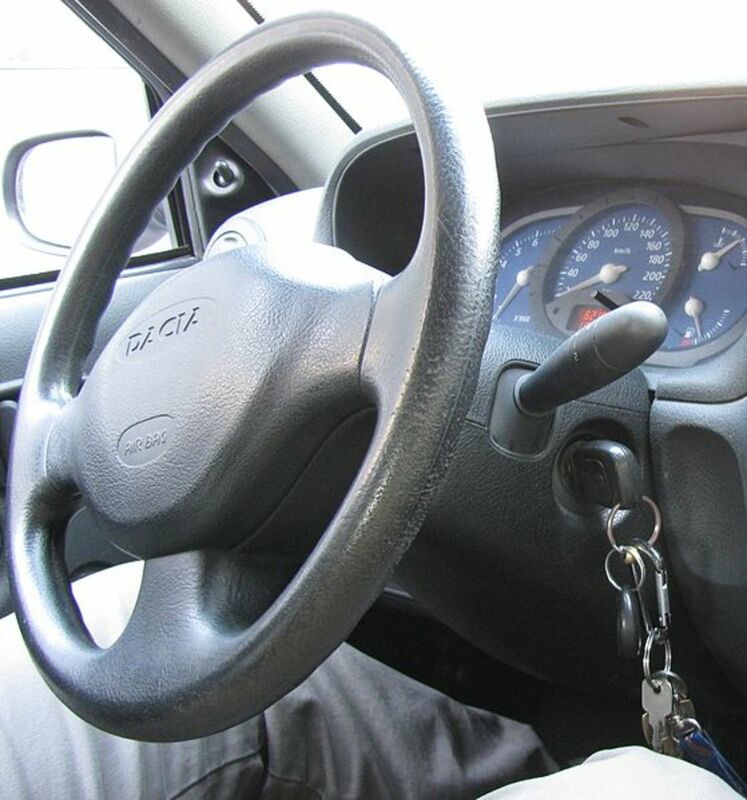 Disable the ignition system or fuel system. 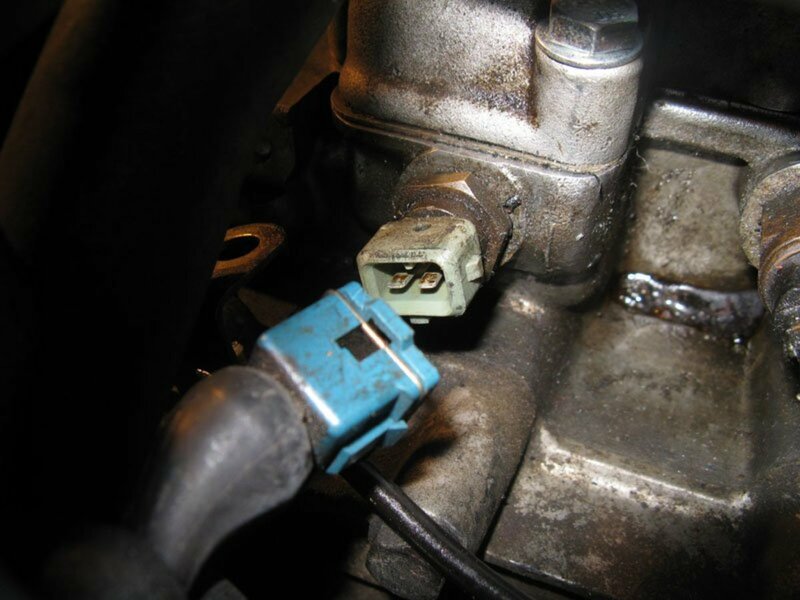 If your ignition system has a distributor, disconnect the high tension cable from the distributor cap and connect it to a ground—a clean unpainted bolt or bracket, or the engine surface—using a jumper wire. To disable the fuel system, remove the fuel pump fuse. Consult your vehicle repair manual, if you need to locate the fuse. If you don't have the manual, you can get a Haynes manual from Amazon. These manuals come with step-by-step procedures for many maintenance, repair, and troubleshooting projects. So you get your small investment back quickly. 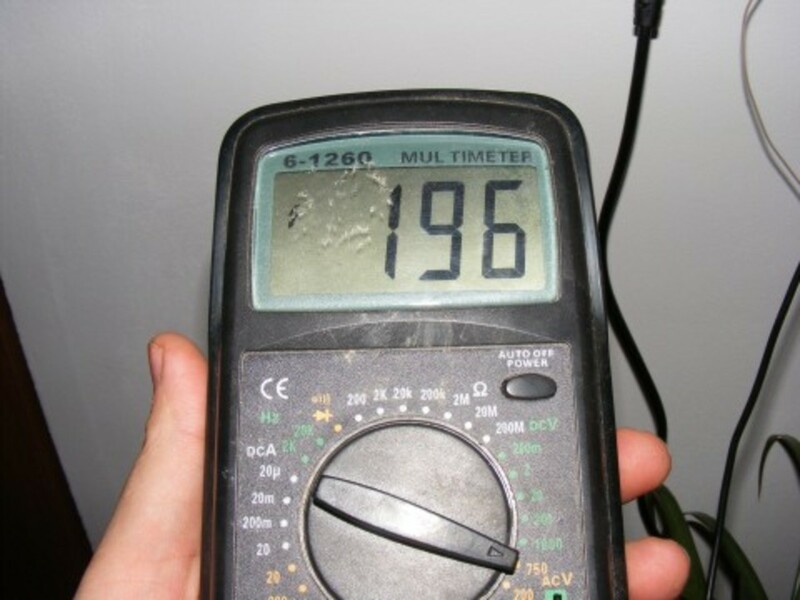 Set your digital multimeter (DMM) to a low setting on the DC voltage scale. To check the positive terminal, connect your red meter lead to the positive battery post and the ground lead to the terminal of the same post. Have an assistant crank the engine for about 3 to 5 seconds while you watch the readout. For a good connection, the voltage drop should be under 0.2 volts; otherwise, the terminal is not making good contact with the battery post. Check the battery ground connection following the same procedure. This time, though, reverse your meter lead connections: black lead to negative battery post and red lead to cable terminal. 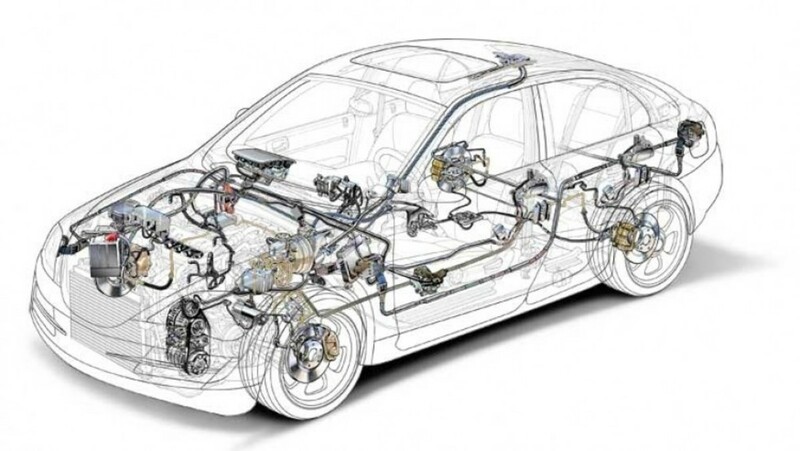 Once you finish measuring the terminals' voltage drop, reconnect the distributor high tension cable, or reinstall the fuel pump fuse. The following video shows a quick voltage-drop test on the battery terminals to determine the state of the connections. A bit of corrosion around a battery terminal is not a sign for concern. You can maintain the terminals cleaned using the procedure in this guide. Check battery terminals at least once a month and clean them as necessary. 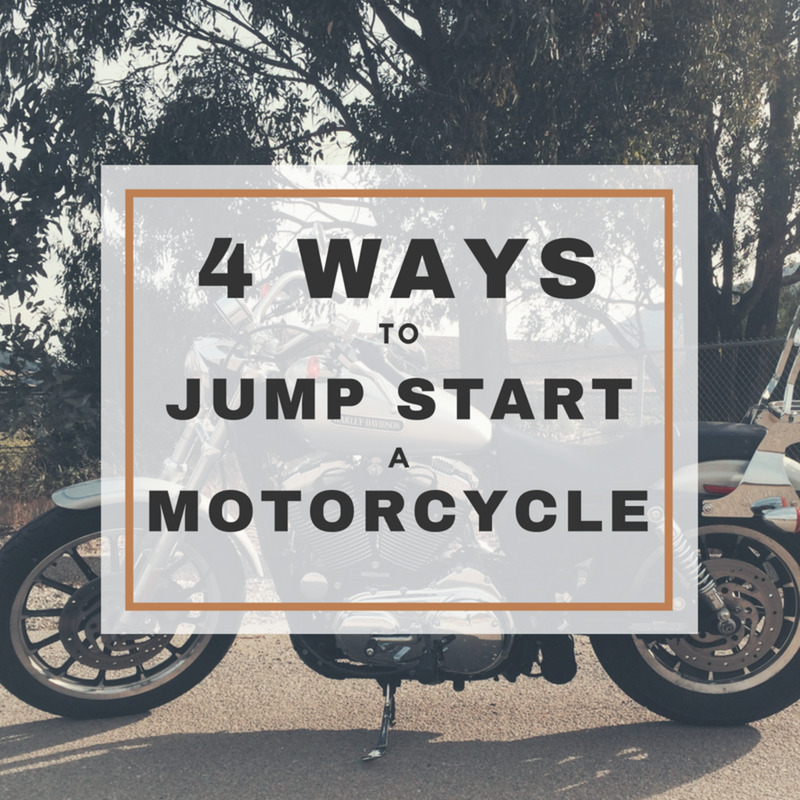 So you'll start your car much easier. 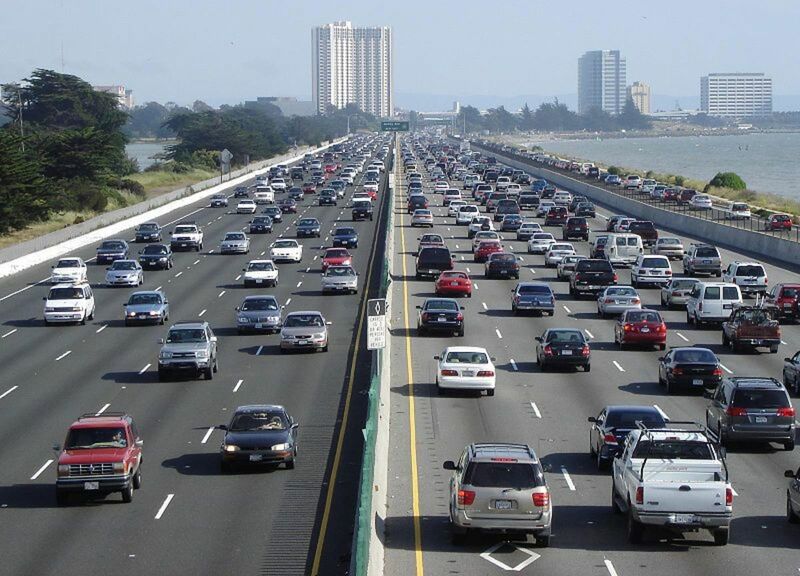 You'll avoid getting stranded because of a malfunctioning charging system, and prevent expensive repairs. If you find the terminals covered in corrosion within a couple of months or so, there could be a problem. 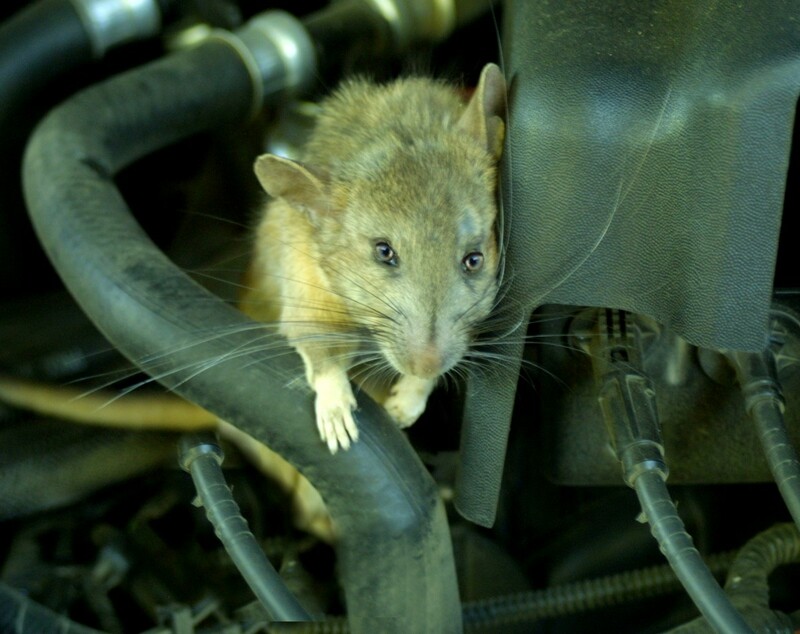 This may be because the battery is near the end of its service life (usually 4 to 5 years), the battery is bad, or the alternator is overcharging or undercharging the battery. You need to have the problem diagnosed and make the necessary repairs. Keep this guide handy and clean your battery terminals as necessary to help your car battery, charging, and starting systems stay in shape. What Is That Yellowish-White Powder on My Car Battery? Just changed the picture. Thanks. 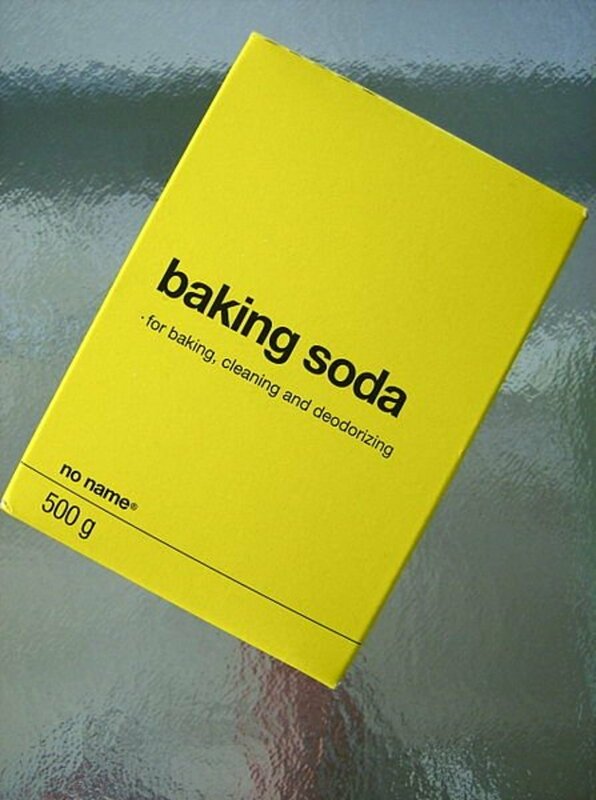 The text says "baking soda" while the picture says 'baking powder'. You realize they are different?